OMG i got hacked again! UGH why me??? Ichanged my password, i kept it safe, whats going on??!!! Jeez that person must be real desperate.I blame the trading post for this. Ugh, I can't believe the hackers are in your account again! Maybe you should tell Fantage then change your password to something super-hard. Why do I think it's a glitch? Did you try logging onto Yellow Yeti yourself? All I can say is to try to change your password and hope for the best. 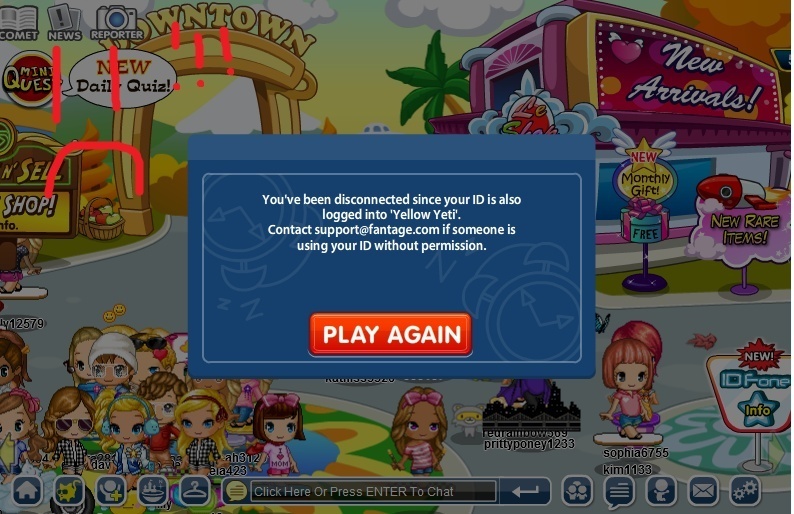 Ugh my account is banned again too! Try changing your password every week. DANG IT! I hate hate hate hackers. They are so stupid! I even made an edit of one because I hate them so much! Well do what they say, go tell fantage! Contact by email! Five numbers, two caps, three lowecase, then two more numbers. Maybe you could have logged on to two servers at the same time (if you did) or that hacker figured out your password because the password change you did was a slight change causing the hacker to figure it out very easily. I suggest you to change a password make it a total different password which the hacker would take a long time figuring out and then just give up after few attempts OR that hacker knows what password your gonna change.